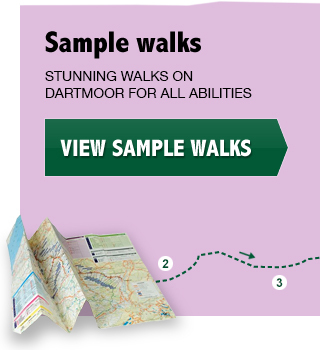 I’m offering another two-day walk across Dartmoor in spring – this one is a route I’ve put together myself to take us southwest to northeast through some of the most varied Dartmoor scenery, visiting all kinds of interesting sites and stopping overnight at the lovely Bellever Youth Hostel. It takes place in late April when the cuckoos should have arrived and will be calling for a mate, and spring flowers will be in bloom. Day One - 10 miles: The walk around starts around 11am at Norsworthy Bridge on the eastern edge of Burrator Reservoir, initially following the path of the old Monastic Way – there’s a lovely old clapper bridge, some ancient crosses, Crazywell Pool and some great views across the Newleycombe valley. We carry on to Whiteworks, where a whole array of tinmining ruins dot the landscape, perched on the edge of Foxtor Mire. 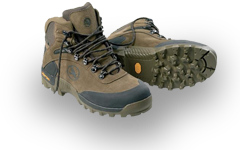 We don’t have to cross the mire, although we’ll have a good look at it, then walk north of it and over a stretch of high open moor towards Prince Hall with wide-ranging views in all directions. We cross the West Dart river and work our way over to Dunnabridge Pound from where we can walk to Bellever via the pretty Laughter Hole enclosures and along the East Dart river. 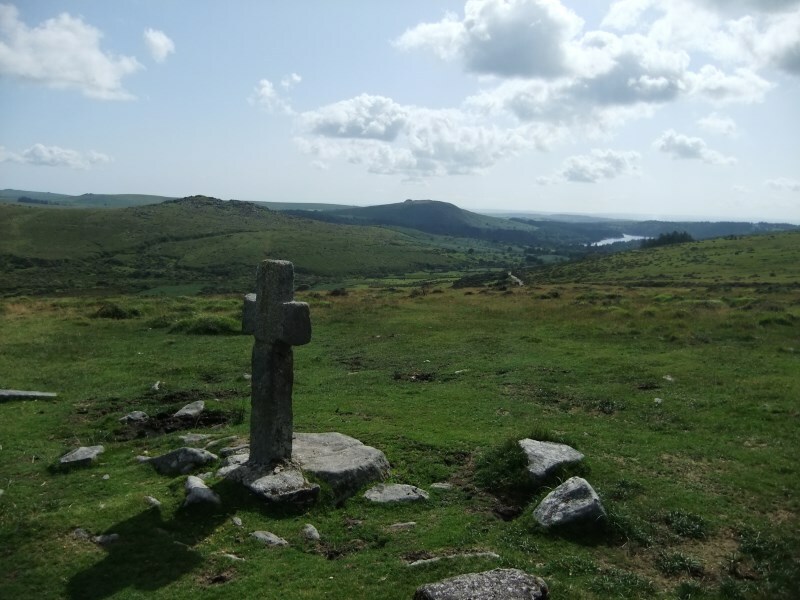 After checking in at the YHA, there should still be time before supper to visit some of the marvellous Bronze Age sites on Lakehead Hill and Bellever Tor – or we may choose to walk via these on the way in. It’s a short walk for a whole day, so there’s plenty of time to admire the many beautiful sites we pass. Day Two – 14 miles: This is a longer walk, but we’ll be starting earlier so will again have plenty of time to soak up the magnificent scenery. The first part of the walk takes us to Postbridge (there’s a shop here if you need to be buy lunch supplies) and then north up the Stannon valley, on the edge of the high north moor. We then veer eastwards alongside Fernworthy Forest and drop down to this very pretty reservoir. We cross below the dam and climb Thornworthy Tor from where the view has to be admired. Then we walk through the marvellous prehistoric ceremonial site at Shovel Down (standing stone and many stone rows) and on to Scorhill stone circle, probably the most imposing and atmospheric of all Dartmoor’s stone circles. We walk through the old enclosures at Buttern and skirt Throwleigh Common on a lovely quiet lane (this is the only bit of lane walking). We climb back onto the open moor at Shilley Pool, another wonderful spot for a rest. One final short climb up the side of Cosdon Tor brings us past the “Graveyard” (a very impressive triple stone row) and then we descend through crumbling walls and enclosures to the delightful village of South Zeal and the Oxenham Arms pub, with its menhir built into the wall. Here we’ll wait for taxis to take us back to our cars at Norsworthy. Cost of walk: £70. This includes accommodation, breakfast, guiding services and taxi back to Norsworthy. Accomodation is in 4-bed rooms. Supper is available at Bellever for £8.50. Bring your own wine! Packed lunches can also be provided by the hostel, or bring your own supplies for both lunches. Logistics: We will meet at Peartree as usual, then car-share to Norsworthy Bridge, stopping to drop off overnight stuff at Bellever on the way. On our return from Norsworthy the next day, we can pick our stuff up again – so no carrying of bulky packs required! To book: send me an email for now. I will require a £20 deposit and the remainder can be paid on the day.